Sarah focused her attention to straight show jumping as a young rider, selected onto the WA Young Rider Show jumping Squad for 5 consecutive years. At 22 Sarah made selection for the WA Senior Show jumping Squad, retaining her position for three years. In 2013 and 2014 Sarah made her international début, competing at a number of top international CSI*/**/*** & CSIO competitions across New Zealand, Germany, Netherlands, Belgium, France, Austria, Spain and Portugal. She campaigned her Grand Prix horse ‘Little Britton’ who she trained to this level and transported to Europe when she re-located. She also campaigned her talented 8yr old mare ‘Beezie’ whom she purchased as a 7yr old upon arriving in Europe. Sarah is proud to have achieved consistent performances and some placing’s riding against some of the best riders in the World. Fast forward to 2018 Sarah has successfully produced many more talented young horses including Yalambi’s Fiorenza purchased at 5yrs now competing grand prix level and Lafayetter MVNZ purchased at 5 yrs now competing mini prix level. Sarah enjoys teaching others and has a wealth of knowledge to share having trained with one of Australia’s best riders and coaches, Alison Rowland, for over 10 years now. Current goals include taking her now established team of horses to the AQUIS Champions tour in 2020 as well as producing some lovely 4 yr olds now in the stable. 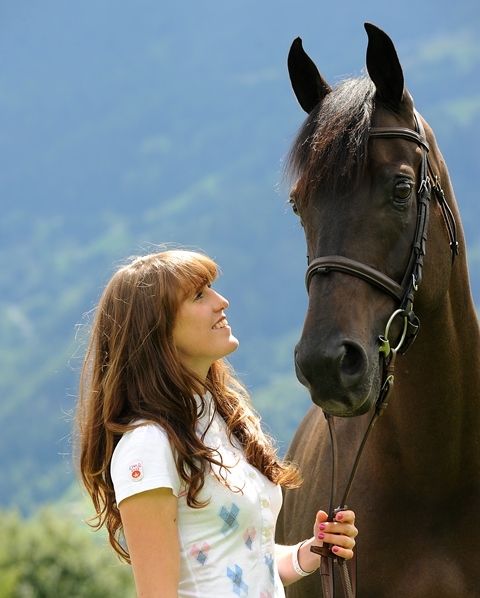 Sarah is a registered NCAS Introductory Level Coach, who enjoys teaching riders of all levels. Her aim is to be an overarching mentor for her students, assisting them at local competitions were possible and sharing her knowledge of horse management. Phone Sarah today 0438 443 670 to book your first lesson. Sarah has a great eye for a horse and the skills needed to help each horse achieve its best in the sport. If you are interested in being an owner and would like to get involved in the sport please call Sarah on 0438 443 670. Every horse in our stable is treated like a VIP and you can be confident the journey will be an exciting one!